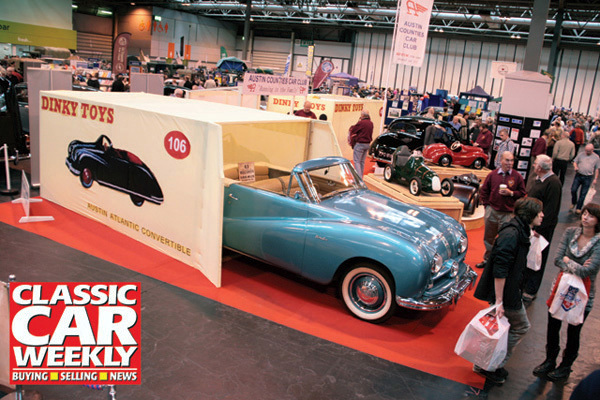 The Austin Atlantic was specifically designed for the American market but was too expensive and sold in very small quantities. An extremely rare car to find nowadays, I have seen one in the last 30 years. Dave that real one in turquoise is beautiful. Even Metropolitans are sought after now if you could find one. There does not seem to be a thread for the French Atlas Dinky but should there be one ? Received today, a trade box full of Simca 5 exported as 35az Fiat two seater. Three models have black wheels, the other three have white ones. Three different tradeboxes are known for the original model by Meccano but so far no box marked 35az has been found. Only wish I did Jacques, they are wonderful! 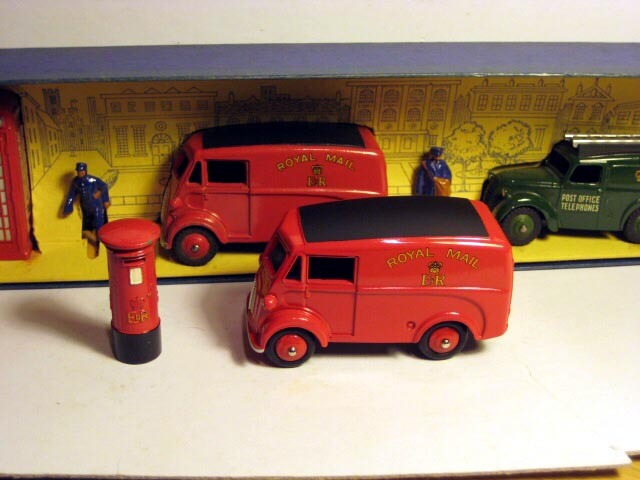 More from Atlas, the Morris J Post Van with smooth tyres, shown here with a Dinky original with treaded tyres. Atlas version of 262 Swiss Post Volkswagen. Shown with a couple of Dinky 181. I understand that 262 was issued '61 - '66 but had spun wheels not painted as the Atlas? 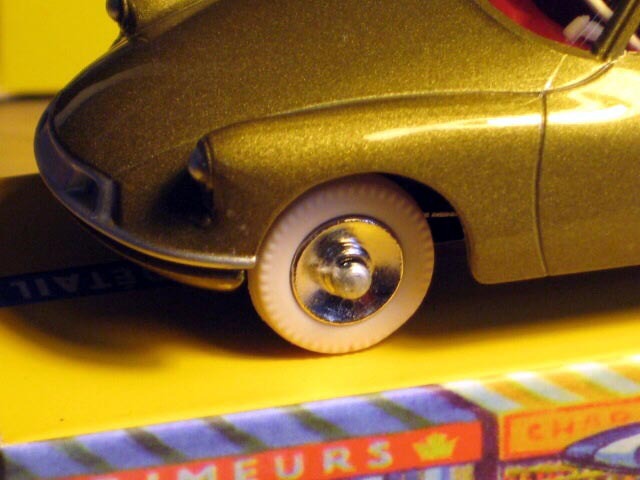 1959 - 60 yellow ridged hubs with smooth, later treaded black tyres. "The Austin Atlantic was specifically designed for the American market but was too expensive and sold in very small quantities. An extremely rare car to find nowadays, I have seen one in the last 30 years. Dave, it is interesting that the Atlantic was designed specifically for the United States market, as in my younger days in the early 1950s, two were residents in my old city of Armidale, New South Wales, Australia, a black one and the other a darker shade of blue than the mid blue one from Dinky. I thought the central light looked very ultra-modern at the time. Perhaps a small quantity came out here, with Australia's weather being most suited to this type of vehicle. (Although we can have rather unpleasant weather in winter at times.) Across the road from our house lived two spinster sisters who owned a black Triumph Mayflower, a type one does not hear much about these days. I thought it too was sort of cute, comparing it with my Dinky Triumph Renown in dark blue with its sharp lines. Dave - What is the other "boxed" model in the background? Another Atlantic? 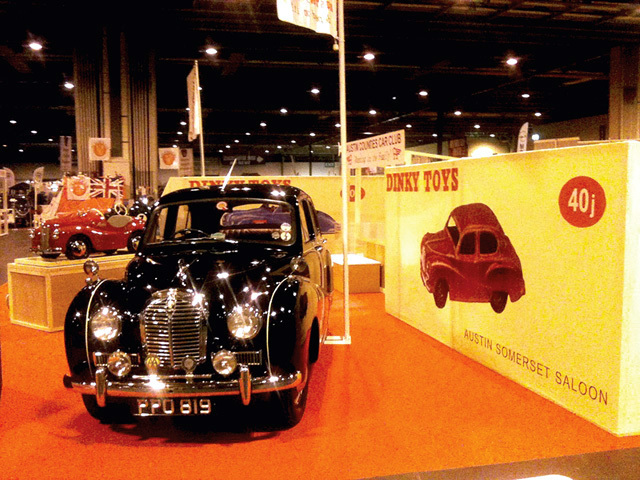 I remember this stand, I saw it at the NEC if I recall, I think the other "Dinky" was an A40, a Devon or Somerset. The image shown above of the Atlantic is the same one as I published in the DTCA Journal of April 2012, Page 14. May I assume that the boxes had the correct colour spots on their sides? More from Atlas, the Morris Oxford MO in cerise and Ivory (or red and white according to Dr Gibson). Roulet has choosen the most gastly colour for the Oxford. The scarce light blue would have been more interesting but he may not know about it. 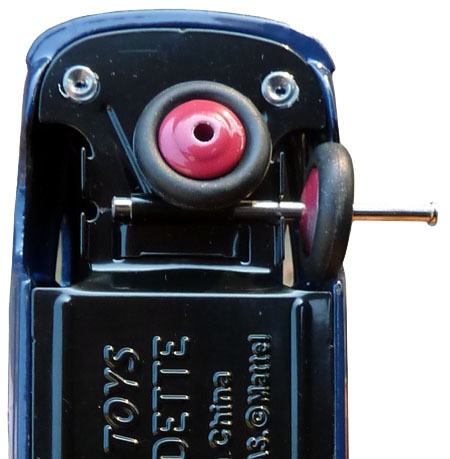 Roulet is not the most knowledgeable person when it comes to Dinky Toys. "Roulet has choosen the most gastly colour for the Oxford. The scarce light blue would have been more interesting but he may not know about it." As you know I love my battered 40 Series, and have a good few now, but the all light blue MO is one I'm still missing, anybody here have one? 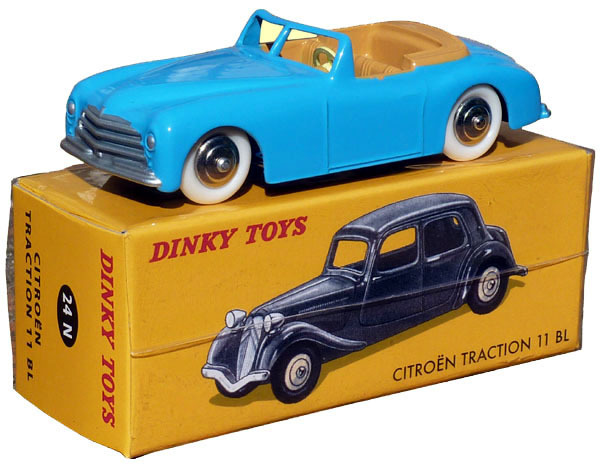 There is no thread for the Atlas Dinky Toys French issues so lets use this one. 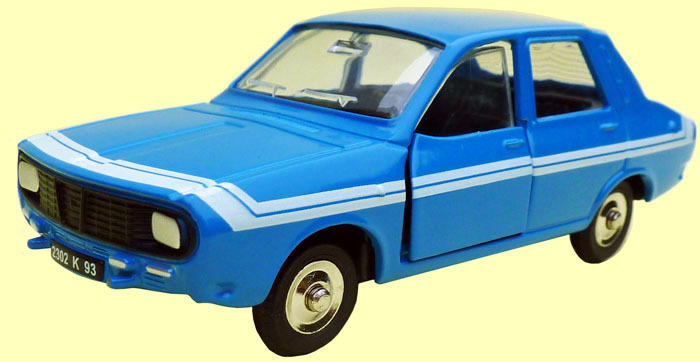 I have received today from China the 1424G Renault 12 Gordini. Gordini is a bit like Cooper : racing cars and souped-up engines in saloons. Several of you do not like opening doors and you are right. Meccano was not half as good as Solido for making thin adjustments of moving parts. but Norev is even worse. I agree with you - pure ugliness! I would much prefer to put my money towards a genuine Dinky Toy rather than a Chinese copy. I am agree : everybody does what he wants but Atlas smells too much the "never ending business for collectors", with a very poor quality ! 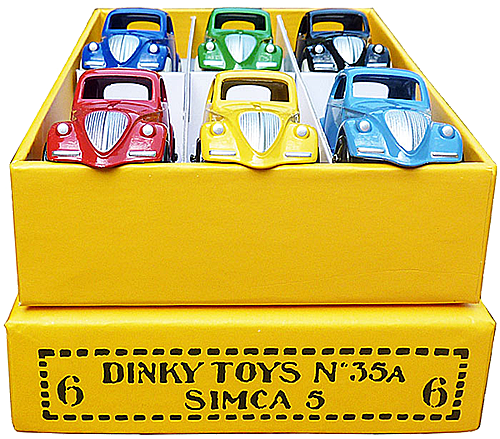 but the important thing is the miraculous words : "Dinky Toys" !! For the anecdote, at the beginning of the atlas story, we had a page in the Dinky Magazine introducing the new models and comparing the look with the real Dinky ; four or five issues later, members asked Guy to stop it ! no places for the copies ! Now, it's over. 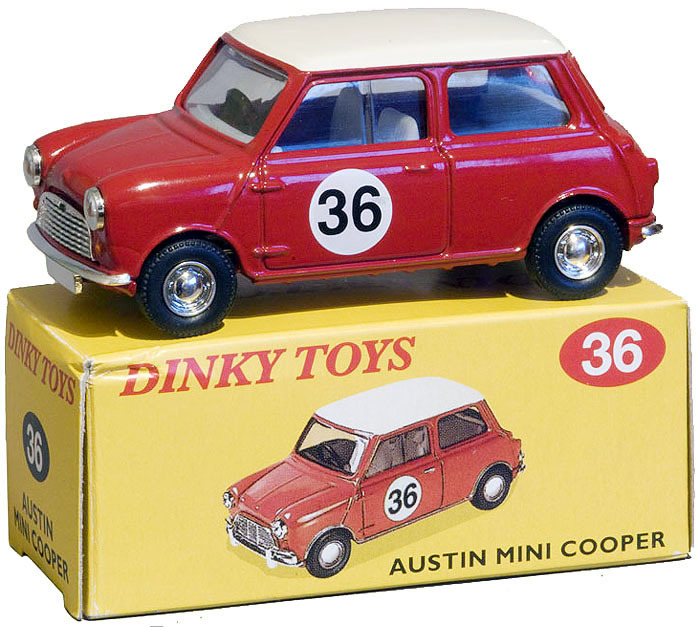 I think that you are very unkind about the quality of the official re-issued of Dinky Toys by Atlas. The quality of these highly sought collectibles is to the highest standards (Atlas's standards not ours). I prove this by showing you a few of the models that I have received on behalf of a foreing friend. These are only a sample of what the Trio Atlas, Roulet "the expert" and NOREV can make. Meccano had fitted many gadgets to their Dinky Toys but Atlas has added replacable wheels which Corgi has done many years ago in a more elegant way. Is that another headlamp-less Packard, or is it the same one I got for Ragnar? They did replace that one, but it took about 5 weeks. Great to see some lively debate. The MSMC and the DCF have indulged in copy models, which I would say were generally sub Dinky Toys standard. However these, particularly where they introduced a variation on a model have their place. 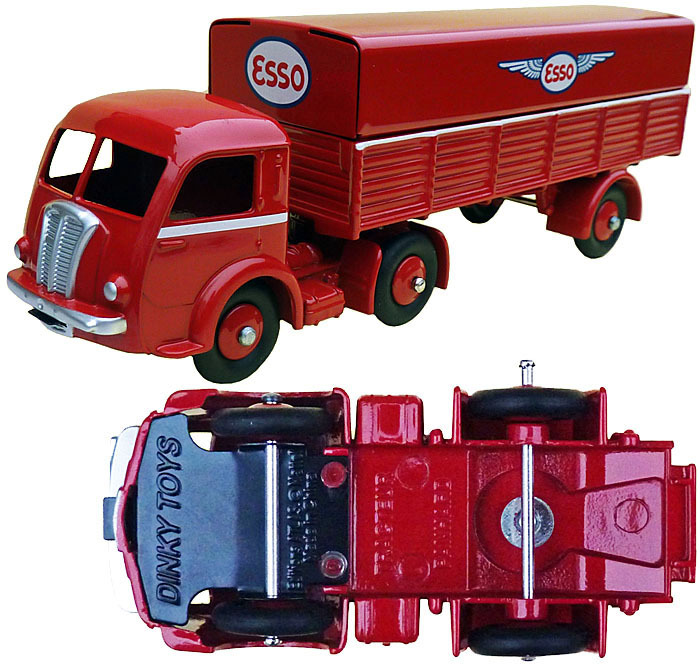 Dinky Toys proper have not been around for a very long time, and dare I say they are becoming an old man's interest reflected by the declining values of mainstream items. Dan Toys, Norev, Atlas whatever have opened up a whole new market of potential collectors and possibly younger collectors to breath some life into the hobby. 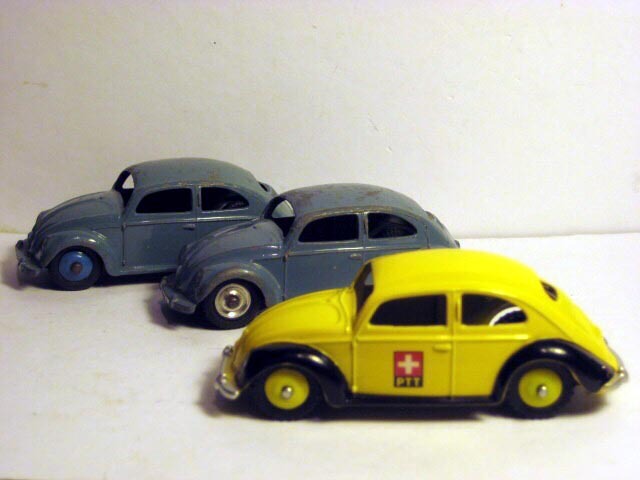 I can understand the concern of purists, but I like many collectors have an eclectic collection of which Dinky account for a just a fifth, and am interested in the real vehicle as much as the toy. 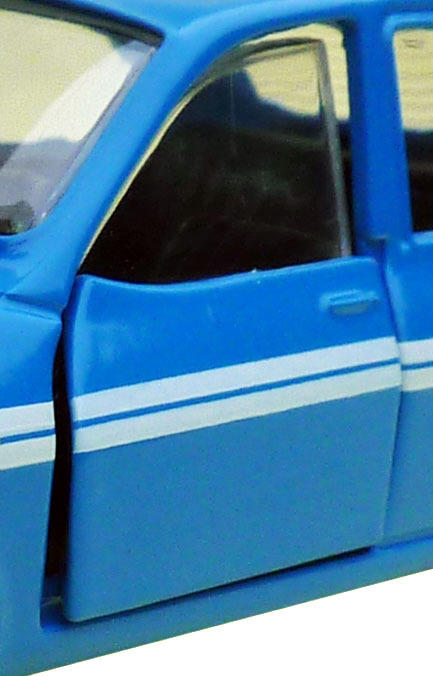 As such if I can acquire a model of a vehicle at an affordable price, it it just happens to be in the style of a Dinky so what? In addition I can enhance my collection with models I might not, or would prefer not, to pay for at inflated prices. When the UK Atlas series launched I was disappointed to find many issues of Dinkys I had, but c,est la vie what else is eBay for. On quality I have not been disappointed, but Jacques certainly has a few! Maybe the rusty base will be a sort after variation in years to come.........incidentally the first UK Atlas issue was a Mini Countryman 197 not a Lledo mini. Yes chris, this blind Packard is Ragnar's. Atlas do replace some of the models but that is no reason to make such garbage and ruin the name DINKY TOYS. This collection is an insult to the Meccano People who more than 50 years ago produced better quality models than Atlas / NOREV / Roulet do now. Picture by courtesy of David J. Busfield. 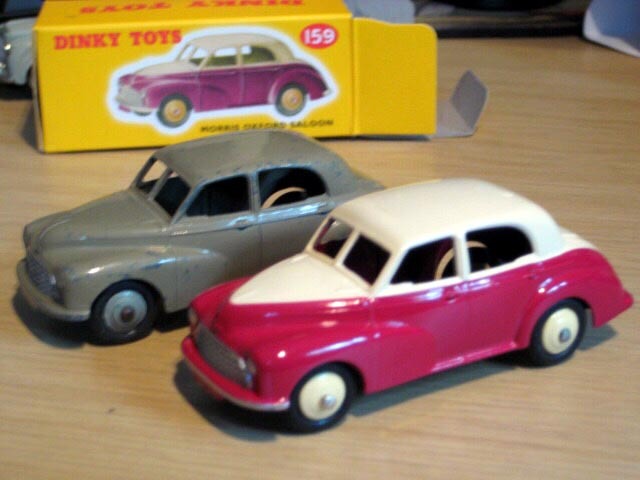 In July 2010, the British Atlas sub-company produces this model to see if there is a market for a collection of reproduction of DINKYs. Okay, interesting Mini Cooper but as you say definitely not a Dinky in any way. Not one of the mainstream Atlas UK issues though. Latest issue received this morning, a peculiar choice as there is only one Panhard known in this finish, certainly a colour sample, it was never issued to the public. Atlas probably select the bad models to send me, the rear axle on this one is much too long. 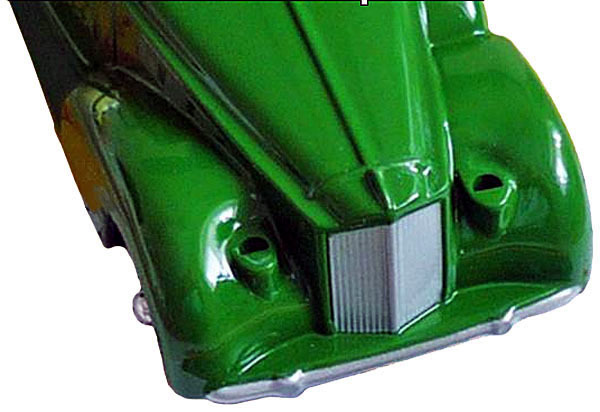 Also too long is the base plate which protrudes the bumper with dangerous sharp edges. As this is the fourth issue using this base plate, if Atlas cared a little for the quality of their products, they would have corrected this defect. What is most peculiar is that the quality of the Dan Toys models seem to be much better than Atlas's, they come from the same factory in China ! What will the next flaw be ?